Q & A with Sticky Fingers Cake Co. 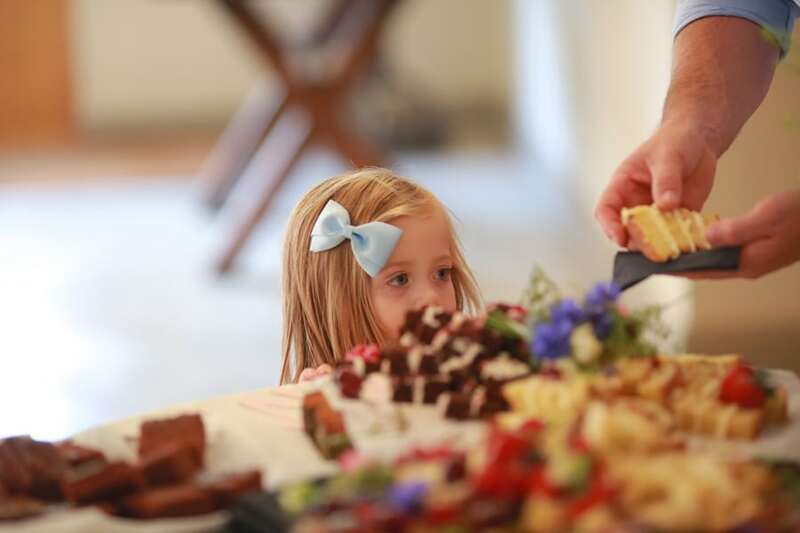 Here at Sticky Fingers Cake Co we aim to make the ordering of your wedding cake as easy and as stress-free as possible, so with that in mind here are a few hints and tips about ordering the most important cake in your life! When Should We Order Our Wedding Cake? Couples are getting super-organised these days so a good time to book your wedding cake would be 9-12 months in advance but if you’re getting married in the peak of the wedding season it’s advisable to get your wedding date pencilled in ASAP as the Summer months get booked up really quickly. You can do this with no extra charge through Sticky Fingers Cake Co. Having said that, if you’re pushed for time please drop us an email, we may be able to fit you in at short notice. I Don’t Really Know What Style of Cake I’d Like? There are so many different styles of wedding cakes now but I always think you should bear in mind the type of venue you’re having your wedding reception in; If you’re getting married in a barn style venue you may want to consider having a rustic “Naked” or “Semi-Naked” wedding cake with either fresh fruit and berries or fresh flowers. If your venue is a grand historic building with ornate features and high ceilings a 4 or 5 tier traditional iced wedding cake with sugar flowers would fit in beautifully. If your venue is a seaside hotel you could have some fun with your cake with seashells, starfish, beach houses, bunting etc. Do We Have to Have Just One Flavour or Can We Have Different Flavours for Each Tier? I always encourage my couples to “mix it up” when choosing their flavours. Gone are the days when each tier is made of just fruitcake or sponge. We have 13 different cake flavours on our menu ranging from the more traditional (fruitcake, vanilla, lemon, chocolate) to the slightly more interesting sounding (cookies & cream, salted caramel, white chocolate & passion fruit, cherry bakewell). I tend to say select a traditional flavour, a slightly more “out there” flavour then whatever your favourite flavour is, then you’re pretty much pleasing everyone. Do You Cater for Different Food Allergies? We can cater for gluten/wheat free and dairy free. All our cakes are suitable for vegetarians and I’ve also been told that I make a wicked vegan cupcake! The only food allergy we don’t cater for is nut free. What Sort of Price Are We Looking at? With the more traditional iced wedding cakes, these are more bespoke so difficult to give definite prices but to give you an idea a 3 tier plain iced cake with ribbon trim to feed approximately 100 people would be around the £300/£325 mark, then the amount of decoration/sugar work involved would determine the overall price. The more highly decorated the higher the price, so if you don’t have a massive budget for your wedding cake, keep it simple or have fresh flowers as decoration instead. Naked wedding cakes start from £225 and semi naked wedding cakes from £275. Do You Deliver the Wedding Cake to Our Venue? Absolutely! The last thing you want to stress about is picking up your wedding cake and getting it to your venue safely. We deliver all over Essex, plus parts of Suffolk, Hertfordshire and into London too. If you have any further questions at all or would like to book a wedding cake consultation please drop us an email.